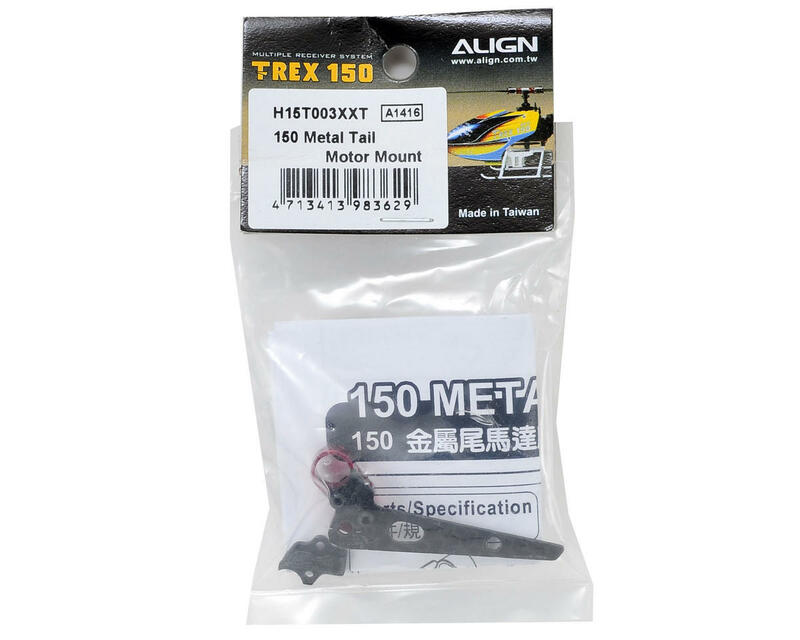 This is an optional Align 150 Metal Tail Motor Mount. This CNC machined tail motor mount effectively increases the torsion strength of the tail motor mount. 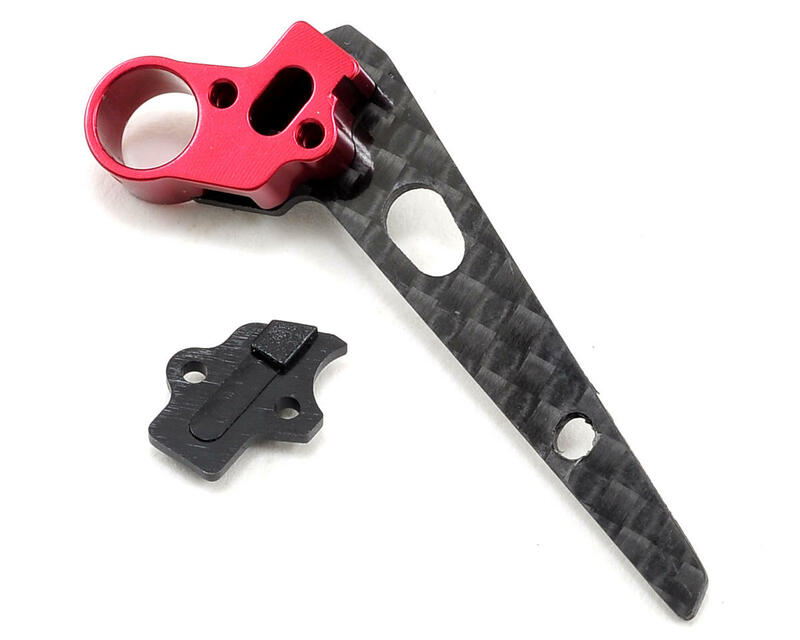 Plus the red anodized mount and carbon fiber tail fin look good, making this a must have upgrade for your T-Rex 150.